RMG Networks has released Visual Supply Chain, its new digital signage solution for supply chain operations. Visual Supply Chain is a complete package of software, hardware, business apps and services for improving productivity and communication at supply chain operations of all sizes. RMG's Visual Supply Chain displays real-time performance data that helps supply chain operations deliver KPIs to the desktop, mobile device or to employee-facing digital signage for continuous process improvement. Data from multiple sources can be integrated, aggregated and synthesized to support process practices like Six Sigma, Lean Manufacturing, TQM and others. Research studies have shown that the use of advanced digital signage solutions for real-time information display increases productivity. A study by Manufacturing Plant found that warehouses with digital signage systems enjoyed a 20% boost in manufacturing productivity with concurrent reductions in slash defects, rework and scrap. DC Customer reported a 10.3% increase in productivity by distribution centers immediately following introduction of real-time scoreboards. Visual Supply Chain's mobile capabilities allow executives and managers to monitor real-time changes in their businesses on-demand and on the go from their smart phones. From shift-level data in distribution centers to executive dashboards in manufacturing plants, Visual Supply Chain delivers customizable data alerts to decision makers helping reduce response times and increase operational efficiencies. "Being able to communicate with our employees in manufacturing and business centers around the globe is a must for Eastman. Utilizing RMG Networks digital signage, we can now reach many of our employees that don't have quick access to the corporate intranet and email," said Ed Montgomery, Corporate IT Architect, Eastman Chemical Company. RMG Visual Supply Chain solutions offer more than Key Productivity Indicators on the floor. Using advanced Data Visualizations plugins, project management data including task completion and resource utilization information, can be extracted from customer systems and graphically displayed in real-time in front of production employees. Coupled with RMG's multi-touch screens, Visual Supply Chain provides managers with interactive project management dashboards capable of supporting complex sets of critical real-time information. RMG's weather and news plugins provide supply chain customers with the added flexibility of expanding the value of the system by displaying relevant information in common areas like break rooms, lobbies and office areas. Garry McGuire, Chief Executive Officer, RMG Networks said, "Integrating and visualizing critical data streams in real-time and allowing it to be easily understood by everyone along the supply chain process creates opportunities to improve ROI, cut costs and develop competitive advantage." 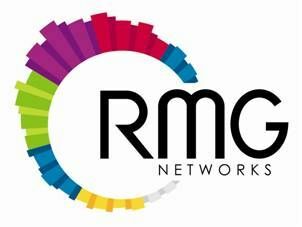 For more information, visit www.rmgnetworks.com.